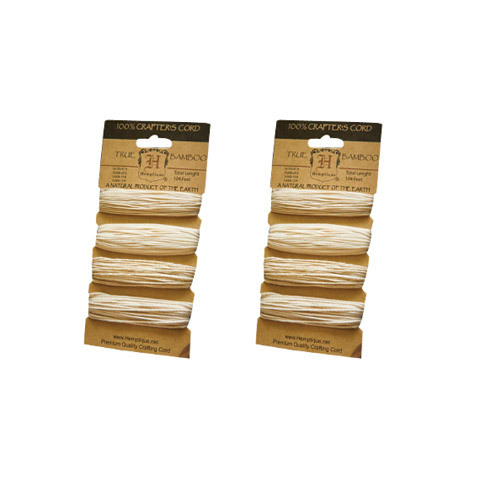 This bamboo cord is a great for use in crafts, jewelry making, scrapbooking, handmade cards, gardening and more. It is natural, biodegradable and an eco-friendly alternative to cotton and synthetic cordage. This set contains an assortment of four weights of natural bamboo cord. There is 41 ft. of 10 lb., 29 ft. of 20 lb., 19 ft. of 36 lb. and 15 ft. of 48 lb. cord - for a total of 104 ft. of cord.